YOUR CHICKEN ENEMY: Books in Bites 18: TINTERING by Conor Stechschulte, TONGUES: CHAPTER ONE by Anders Brekhus Nilsen, and BUSYBODY #1 by Eli Bishop. Books in Bites 18: TINTERING by Conor Stechschulte, TONGUES: CHAPTER ONE by Anders Brekhus Nilsen, and BUSYBODY #1 by Eli Bishop. Its title taken from a quote from Agnes Martin (“Artwork has only a tintering of what it attempts to represent to the artist or responsive observers”), Conor Stechschulte’s new book examines the question of the relationship between an artist and their art, and the obligations of observers of that art in perpetuity. It tells the story of five outsider artists who created public pieces to reflect their own particular vision, all of which were subsequently destroyed. Stechschulte does so through the means of broken objects, highlighting the transience of all things. The repetition of the word “Once” at the start of each of the five stories also echoes the permanence of the desire in the face of the impermanence of the act. As if an eternal recurrence, each story follows a similar pattern, yet is sprung from a unique moment of aspiration. Still, Tintering is more meditation than narration, dealing with essence and objective rather than with storytelling. But even in this, through his choices, Stechschulte is telling a tale of himself as an artist. 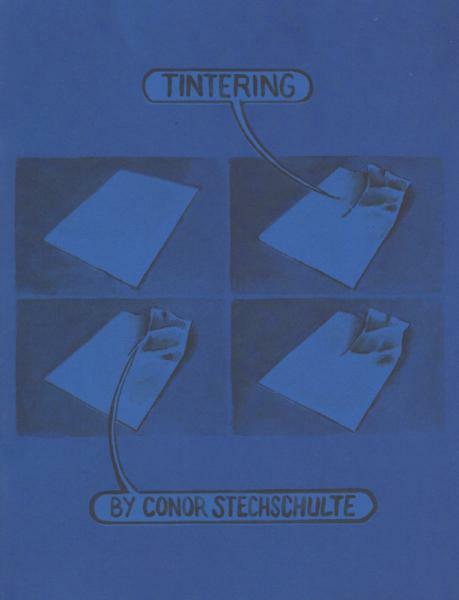 Though tight in its presentation, Tintering offers something new with each subsequent reading, as if pieces to an ever-evolving puzzle that you are trying to put together during a power outage on a moonless night. So much good writing has been already written about this book. From Rob Clough’s review to Sam Ombiri’s thoughts about it, I’m not sure what else I can add to the conversation. Still, Anders Brekhus Nilsen’s Tongues: Chapter One will certainly be in contention for a spot on my personal “Best Of 2017” list (whenever I finally get around to putting that thing together). Go read Clough’s review if you want an understanding of both the history behind this book, as well as recap of what it entails. For my purposes, though, let me just say that this is a stage setting book -- world building, character creating, and plot pushing. It does everything a first issue should do, setting its hooks deep into a reader with a gorgeous and intricate visual style and pulling them onto the boat with unanswered question after unanswered question. 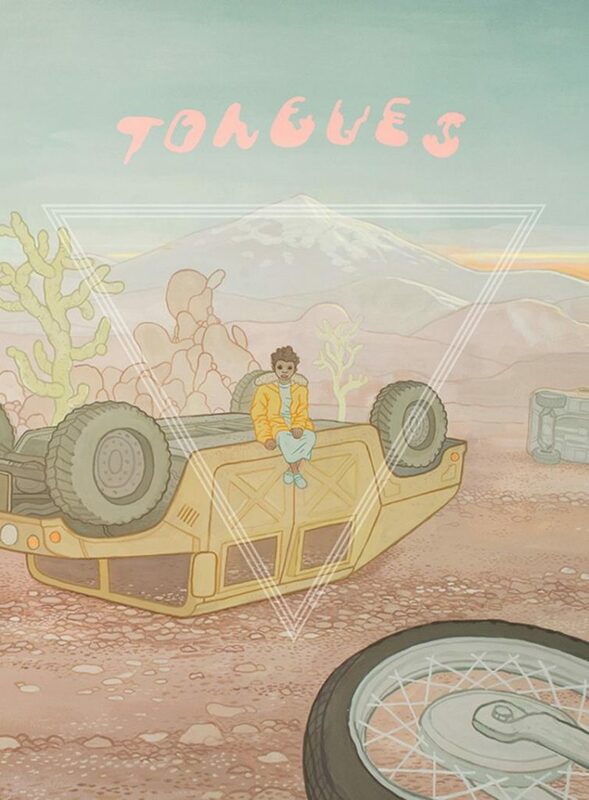 Tongues: Chapter One is an itch that won’t stop. I’m in this one for the long haul and can’t wait to see where Nilsen takes me next. San Francisco based artist Eli Bishop has created a wonderful and weird collection of short pieces all stapled together into his 32 page, magazine-sized zine, Busybody #1. 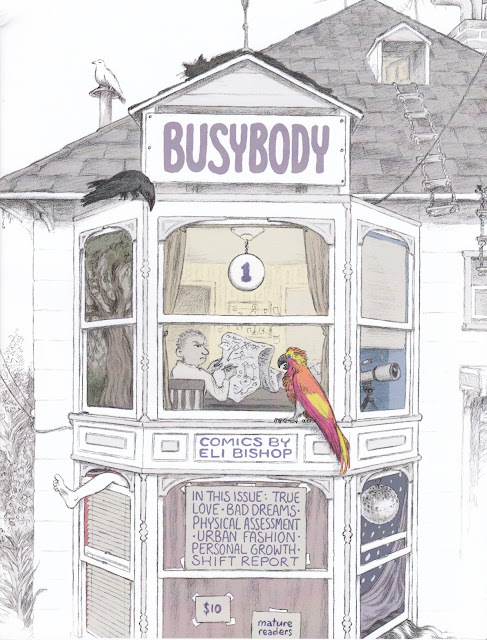 From daft little one-pagers to experiments in form and function to a strange fantasy to the eventual longer piece, “ Shift Report”, Busybody #1 seems to reflect Bishop’s range as a cartoonist. He uses these comics to probe and measure the outlier ideas of the medium, peppering a more straightforward approach with asides and assaying convention. This collection appears as if to stand on a precipice of some future work, serving as an embarkation and an emergence, while still bearing the weight of its own nascence. If you want to catch a creator on the crux of something spectacular, this is as good a place as any to start.